Police arrested more than 700 people Saturday morning and searched protesters for items like the now-famed yellows vests they wear to signify allegiance to the country’s working class. Four people have died and scores more wounded during the weeks-long protests, which began in mid-November. Protesters attempted to set a drugstore ablaze on the Champs-Élysées, placing burning Christmas trees against the building. 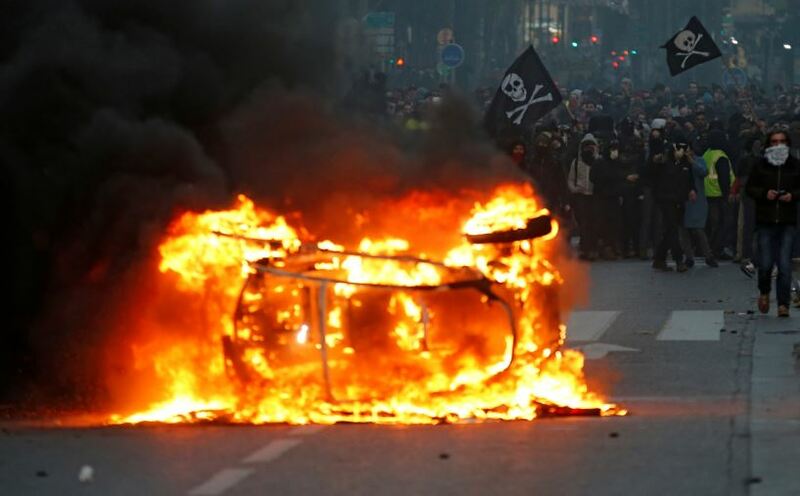 A trove of riot police eventually dispersed the crowd and knocked down barricades the crowd placed in front of the buildings Officials hoped French President Emmanuel Macron’s decision to nix an unpopular carbon tax might help defuse the situation. Axelle Cavalheiro, who traveled to Paris from a rural section of France known for its agriculture, told reporters. “We are overtaxed; there are taxes on everything, gas,” he said. “At the Élysée, they spend 300,000 euros on carpeting, 10,000 a month for the hairdresser,” Cavalheiro noted, referring to the presidential palace. The protesters are growing louder as Macron’s approval rating dwindles. 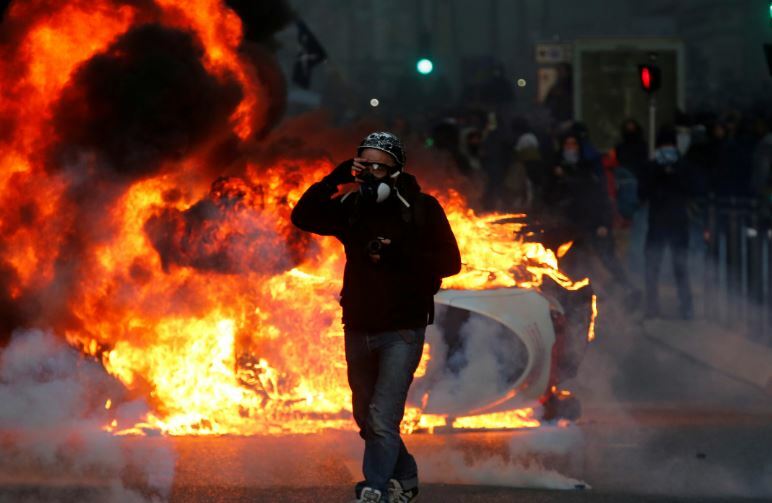 Still, the number of protesters has fallen since the demonstrations began in November; nearly 300,000 people turned out Nov. 17, and less than half of that on Dec. 1, according to French authorities. Officials have relied on armored vehicles to patrol Paris, which hasn’t happened since WWII.